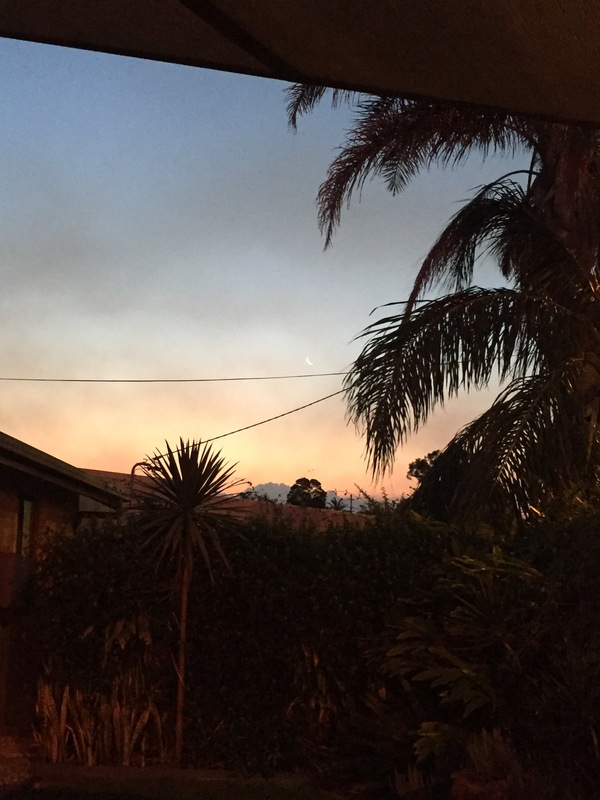 On the 30th January 2017 we arrived at Coffs Harbour and because we didn’t get there until around 3pm, we decided to stay two nights. We stayed at a really good hostel called Aussitel which put on activities and had free bodyboard and kayak hire. 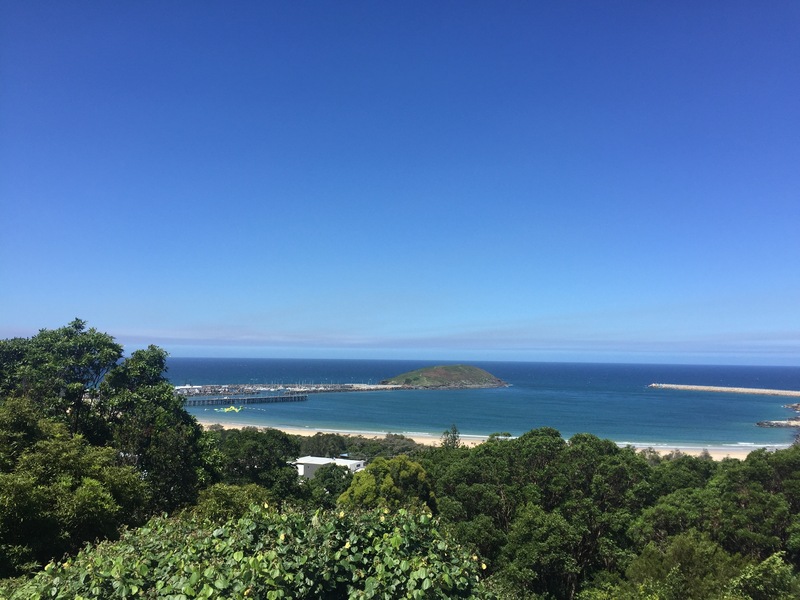 The hostel did free pick ups from the bus and they took us to a local lookout point to show us what Coffs had to offer which was a nice touch and really did have great views. After getting checked in and settled we decided to exploit the free kayak hire and spent the rest of our first day kayaking up the creek that is opposite the hostel. You had to get the kayak across a main road which was a bit of a challenge seeing as they’re quite long and reasonably heavy (I think ours had water in too which made it more heavy) but it wasn’t that far after that. It was a nice day and not too hot seeing as it was around 5pm by the time we got out. We kayaked up the creek as far as we could before the wind started to make it more effort than fun and we turned back. It was a two person kayak which neither of us had been in before and it took a while for us to get our rhythm sorted with the paddles – it was a lot of fun though! After that we just chilled in the hostel. There were hammocks which Niall enjoyed and we had a private room as a small luxury before we went back to living in dorms so was able to get a good nights sleep. The next day we signed on to the morning trip organised by the hostel. There were around 10 of us and they took us to some of the sights in the area. 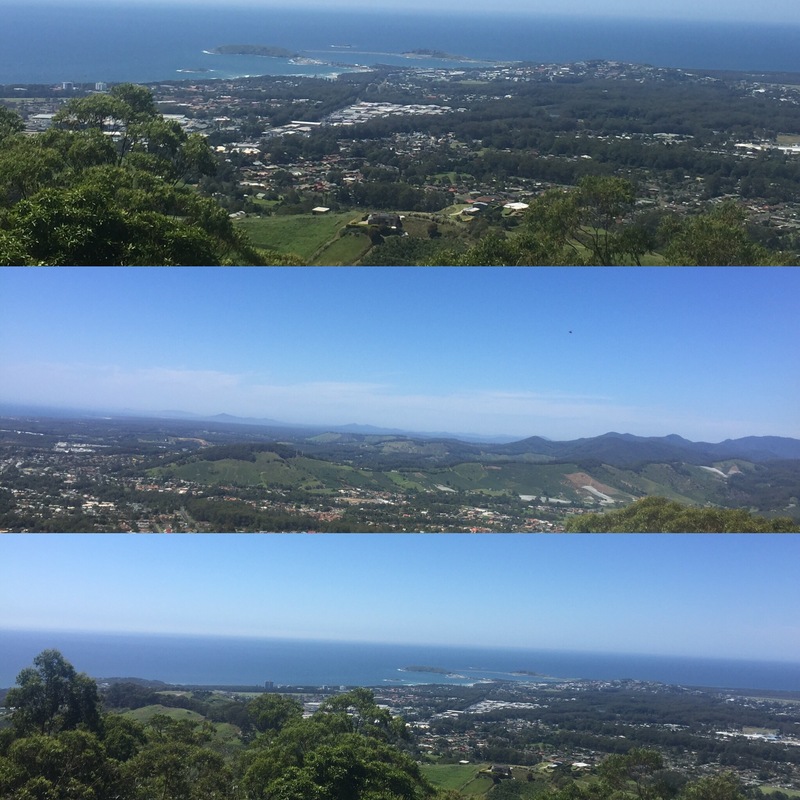 Our first stop was to Sealy Lookout which gave you really good views of the whole area including the mountains of their nearest national park. It was great because we wouldn’t have been able to come here without a car so were really pleased that we went on the trip to see the views. The next stop was into the Orara East State Forest. For some people – those who haven’t been hiring cars and exploring as much as we have – it might have been their first temperate rainforest in Aus. There had been an enormous storm a few months back that had devastated the area with huge floods and you could still see debris of this in the forest. 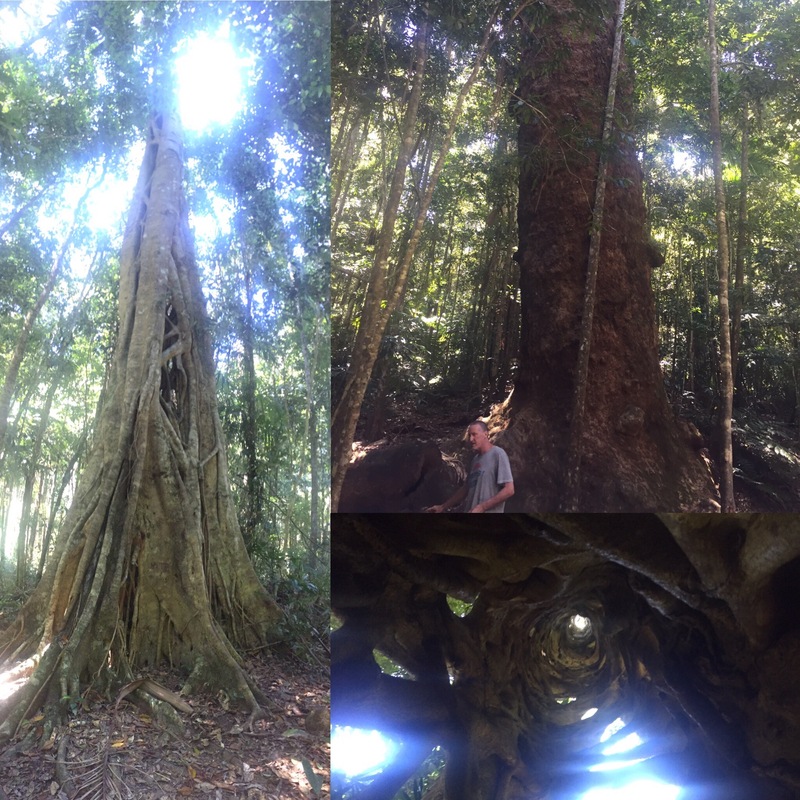 We got to see a strangle tree that was completely hollow after killing its ‘host’ tree which was pretty cool. We were also shown a giant flooded gum tree which is so wide that it takes 7 people hand in hand with arms outstretched to get the whole way around it! There was also a vine hanging from the tree that was strong enough to be climbed. 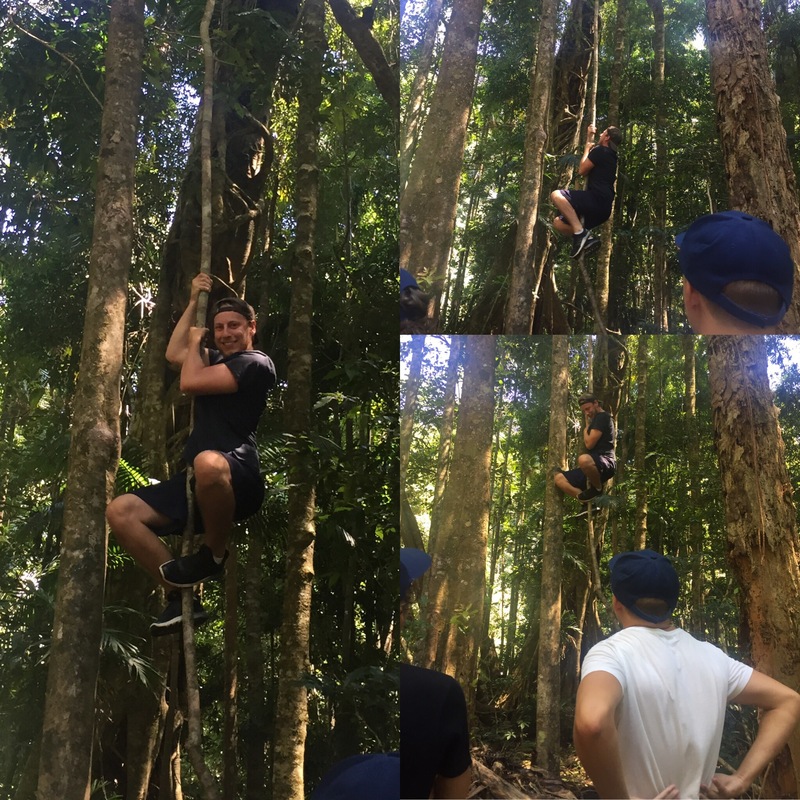 I didn’t climb it but Niall did and did it really fast. There were also leeches in the forest and one of the lads on the trip had a few on him although no one else did! 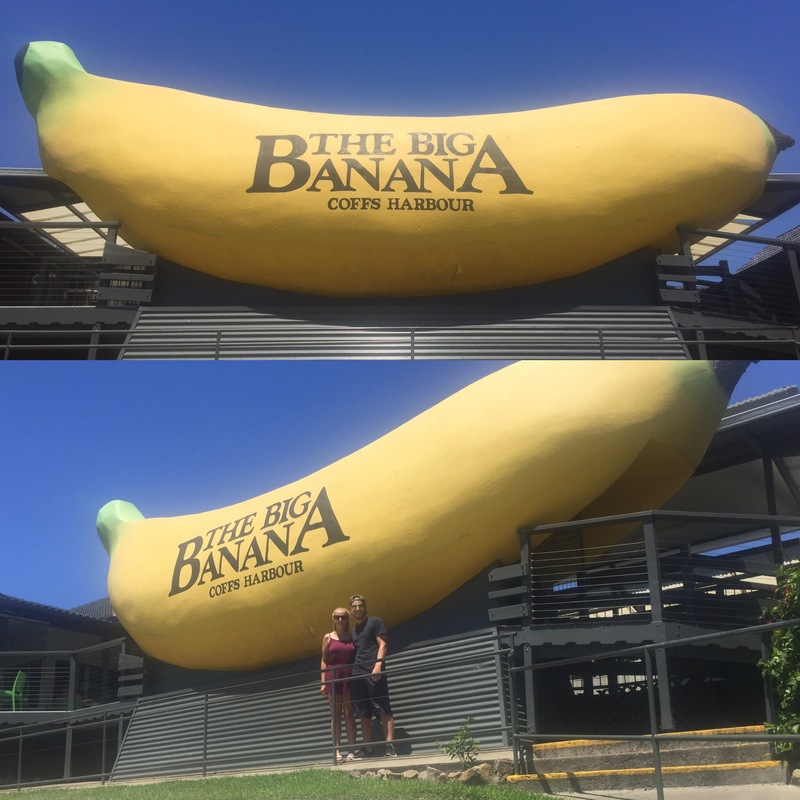 The final stop on the trip was to the Big Banana which is a famous sight in Coffs because it began Australia’s obsession in big things – apparently there are enormous statues (around 150 in total) of everything from a giant cheesecake to giant pineapples throughout Australia. We then went back to the hostel where Niall fell asleep for a few hours so it was a very relaxed afternoon for me. 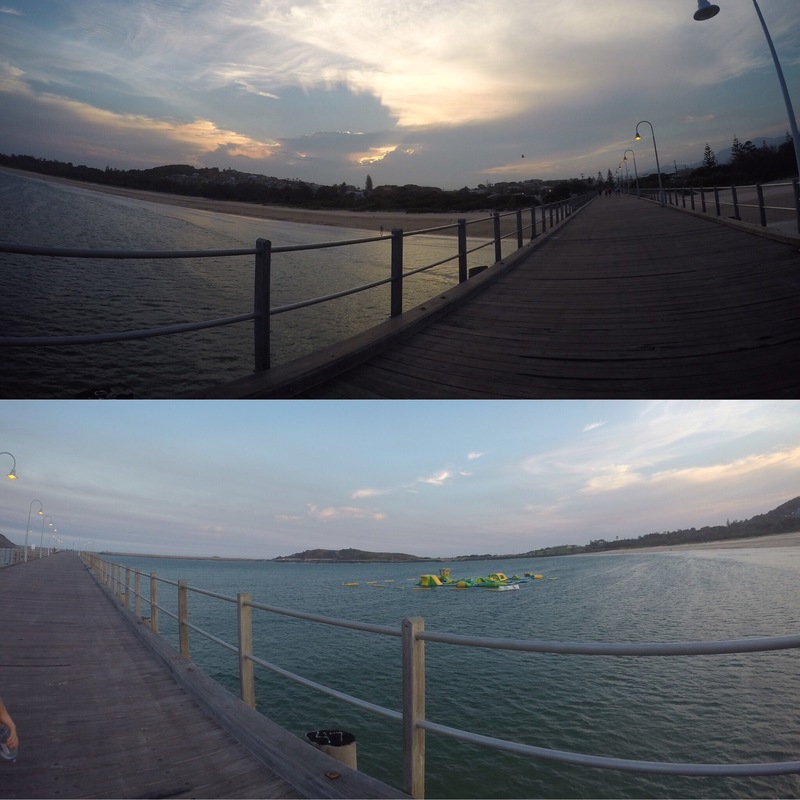 There is a big jetty at the beach (jetty beach) which we wanted to make sure we jumped off before we left and we were told it would be a great sunset so we decided to combine the two and go down to the beach in the evening. Unfortunately the tide wasn’t in enough and it seemed too shallow (very hard to tell so we didn’t risk it) and the sunset ended up not being very spectacular as it was pretty cloudy. Still, good to get out and see the beaches and the jetty. We had to check out the next day and get a bus to Woolgoolga where we would be picked up by the Spot X Surf Camp so didn’t do anything that morning. Coffs Harbour is a lovely place and I’m glad we got to spend a couple of nights here, I’d recommend this hostel too if anyone ends up coming here.